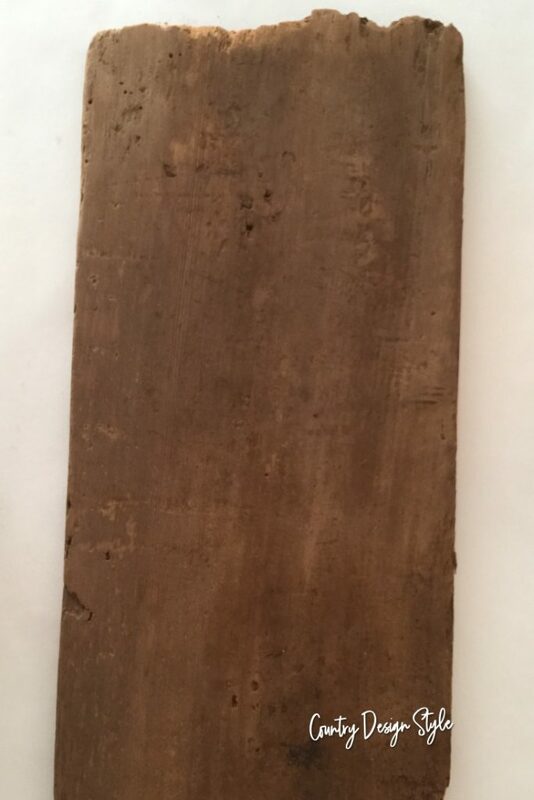 Will glue stick to barn wood? It will if the grime is sanded and cleaned away. Otherwise, you’ll be cleaning up glitter and gold leaf pieces. 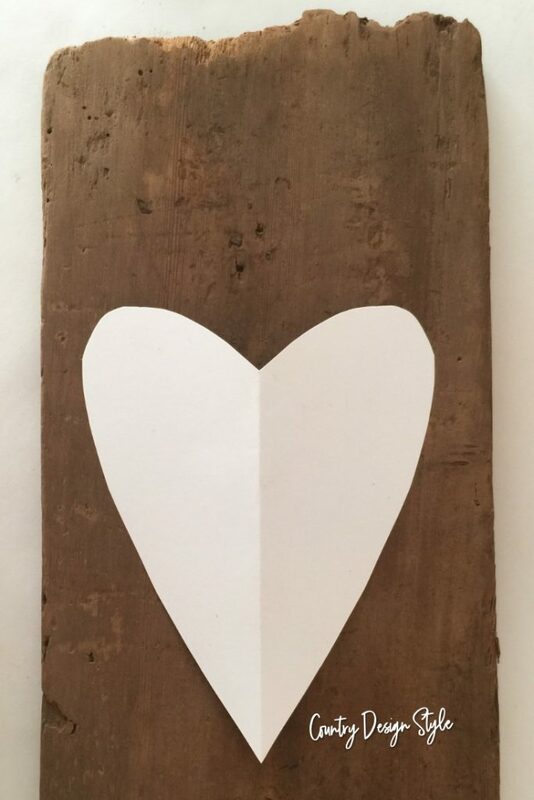 I’m writing a big post about working with reclaimed barn wood. 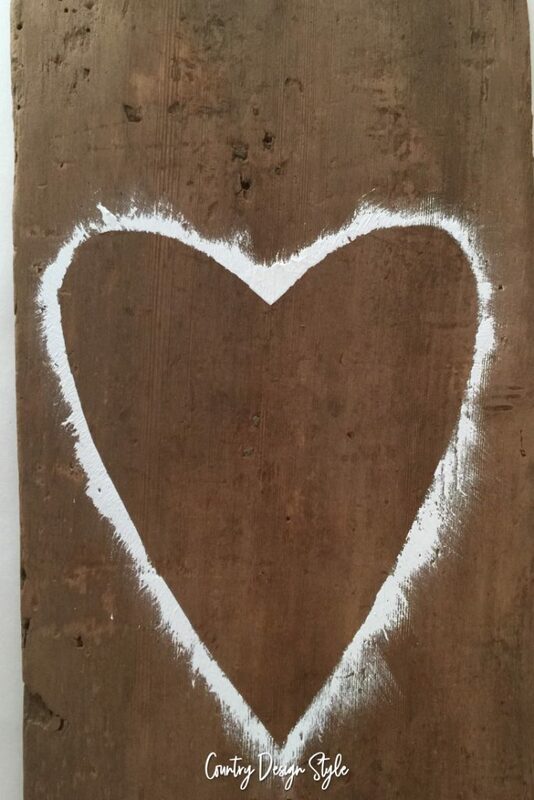 This reclaimed barn wood heart project was a test along with a project. So, let’s get to the project. First, I clean the boards using a scrub brush and soapy water. I use dish soap. Then because it’s winter, I rinse the board with warm water from a bucket. In the summer I would’ve used the garden hose. After the board dried, I sanded the wood. Always wear a mask when sanding barn wood. 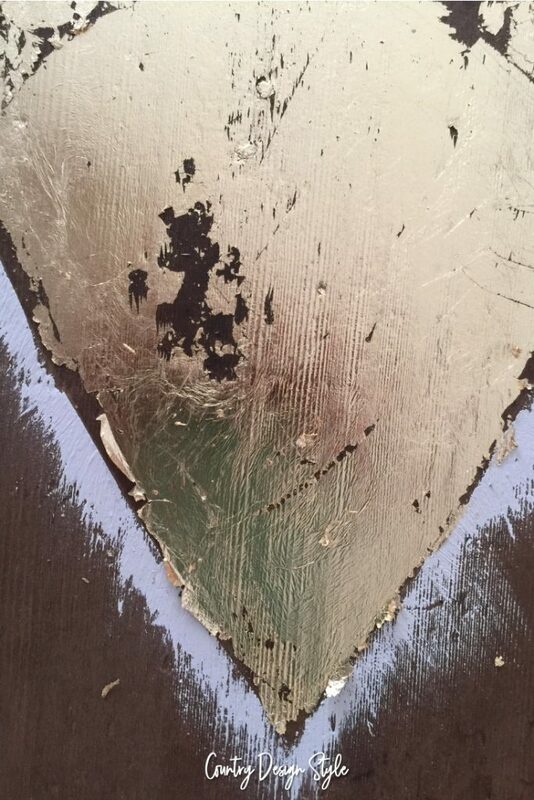 Even though you clean the board you never know what’s in the layers of the wood. No barn wood? No problem. 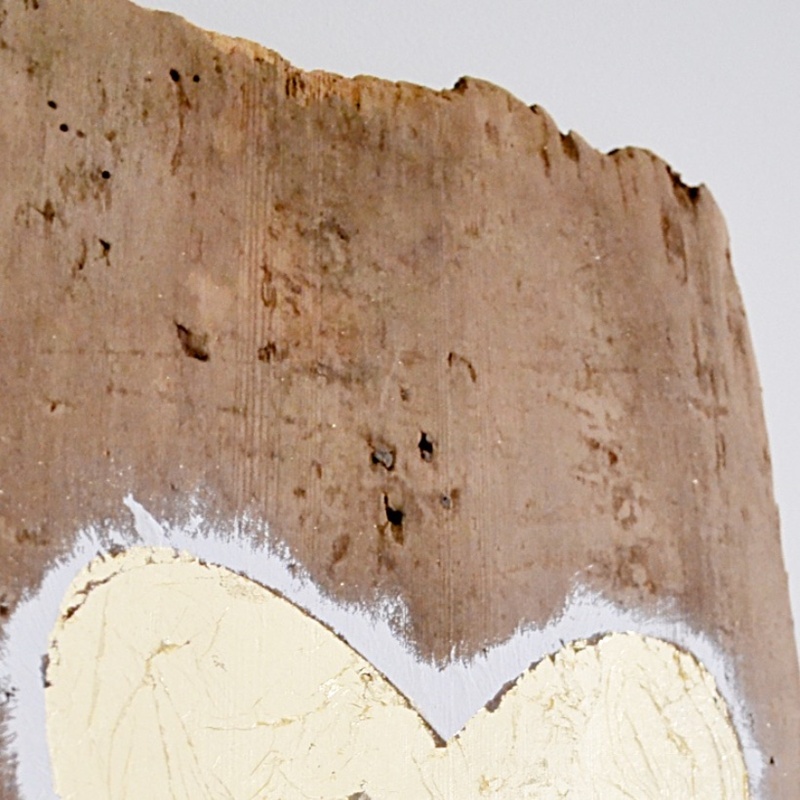 Click here to learn how to age wood instantly. For the heart shaped I went back to elementary school. 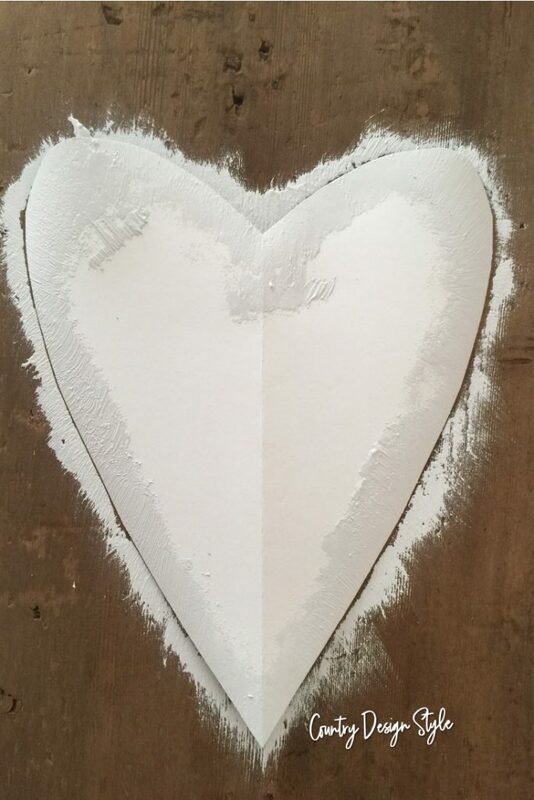 I folded a piece of paper in half and cut out heart. Do you have a bottle of chalk-based paint that’s thick sitting around? Now ‘s the time to use it. Mine is almost as thick as honey. If you want to learn how to use chalk-based paints without stressing out, this will help you. 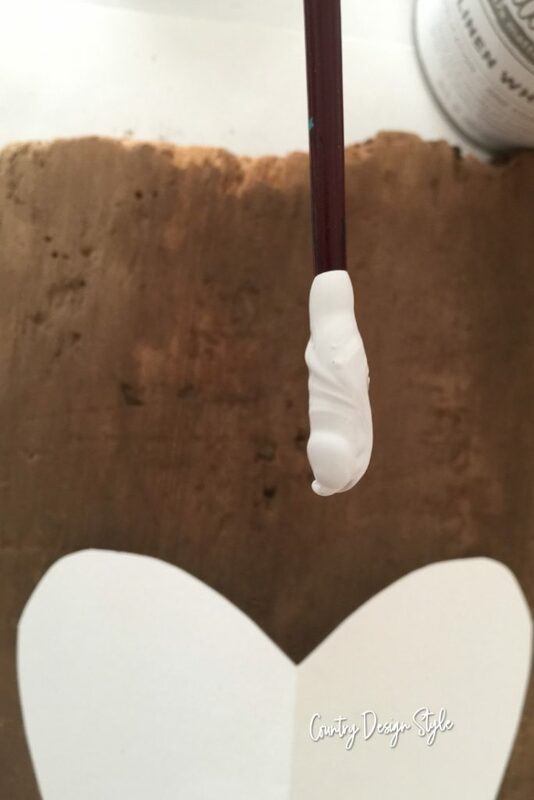 Laying my brush on the heart, I moved the brush onto the wood. 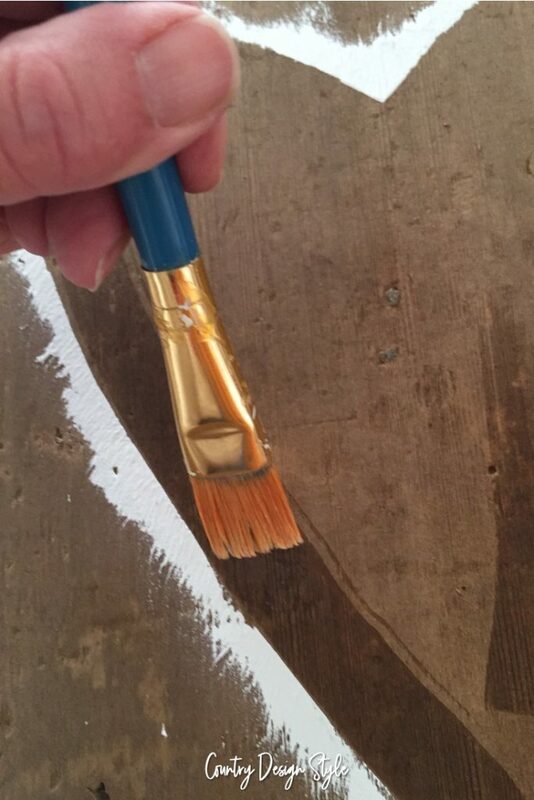 I want the paint to show the characteristics of the barn wood. Does your board need more character? These ideas can help your board. Now, I have to admit I almost stopped the project at this point. I like it. 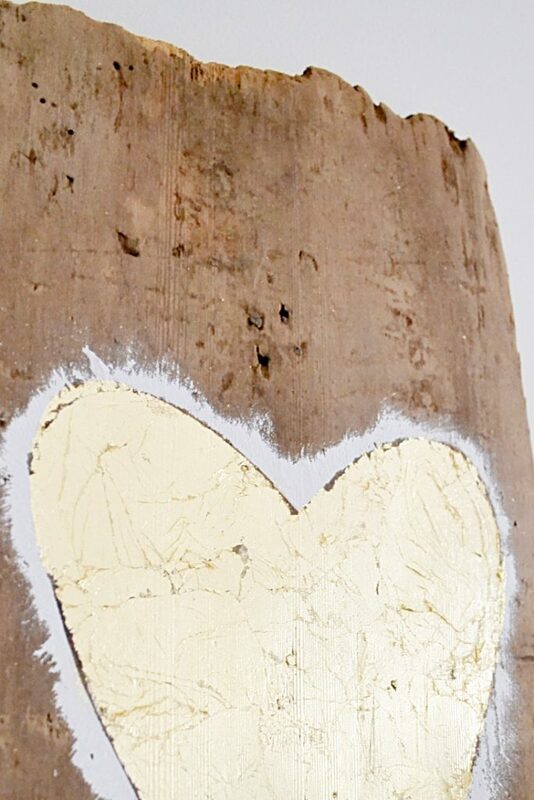 But I continued and started adding gold leaf glue to the inside of the heart. 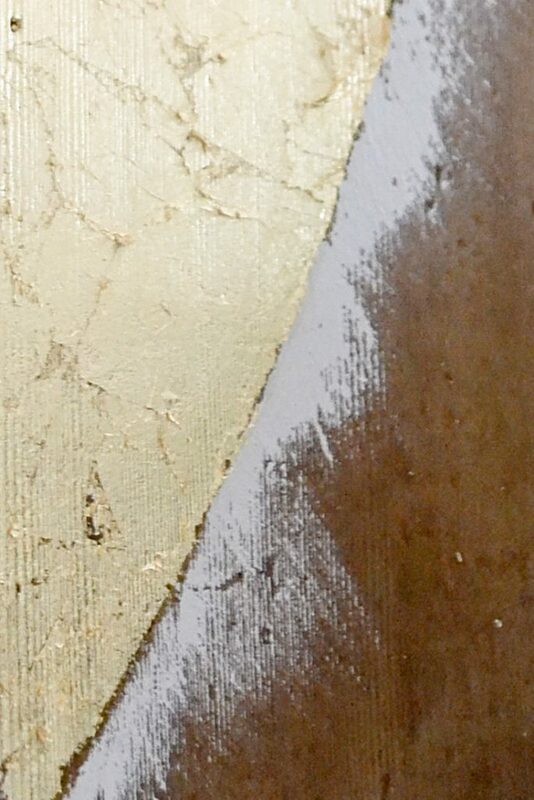 These are the sheets of gold leaf that I used. 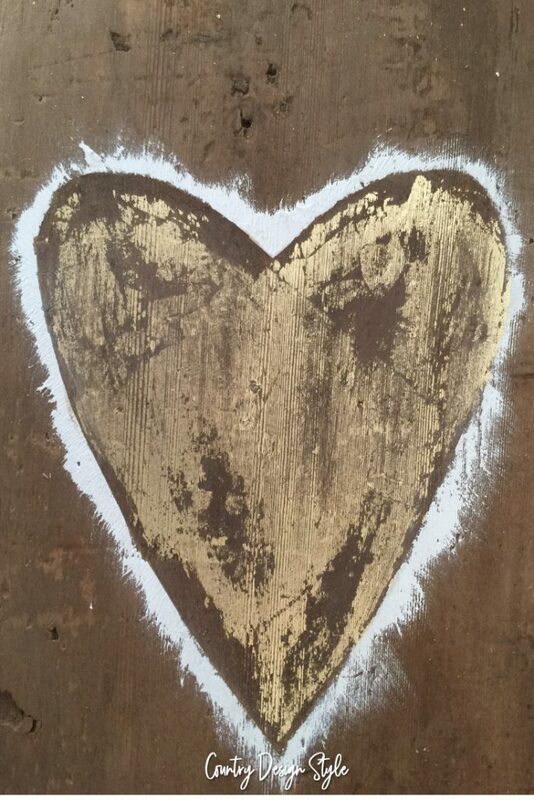 If you haven’t tried gold leaf I suggested it’s very easy to do. Let dry for 3 to 10 minutes. Gently lay the gold leaf over the glue. 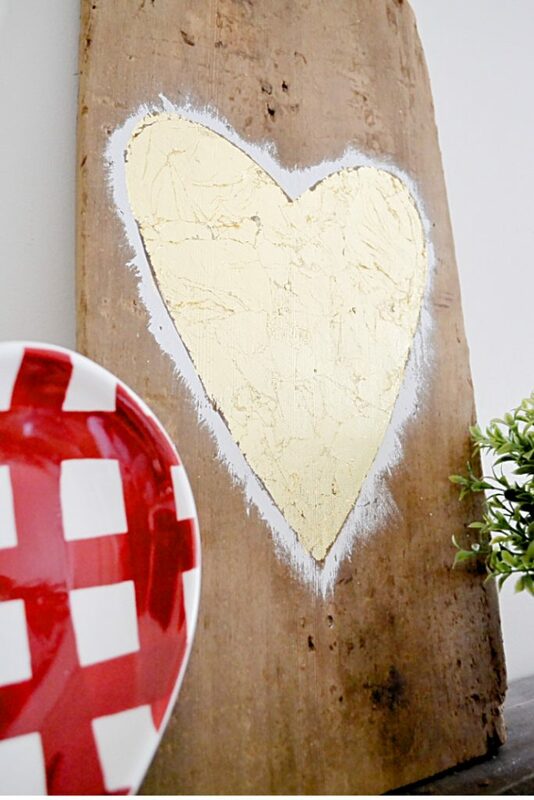 Use a soft brush to remove the extra gold leaf. Carefully lay the full sheets over the glue. Gently tear the sheets and let the pieces wrinkle as you lay in the glue. When I started this project I had an idea of roughing up the gold leaf. So I tried sanding over everything. I didn’t like it. In fact, I see a scary face! So I simply redid the gold leaf. Now I like it again. Working with gold leaf you’ll quickly learn there are still pieces to clean up. My favorite part of the project, that ragged edge of the Barnwood.